Applications to University of Michigan—Dearborn are accepted on a rolling basis; however, students are encouraged to apply by the priority deadline. Usually, once the university has received all of a student's application materials, an admissions decision will be made in just a few days. Most accepted applicants have a GMAT score in the mid-500s an...Applications to University of Michigan—Dearborn are accepted on a rolling basis; however, students are encouraged to apply by the priority deadline. Usually, once the university has received all of a student's application materials, an admissions decision will be made in just a few days. Most accepted applicants have a GMAT score in the mid-500s and an undergraduate GPA of 3.2 on a 4.0 scale. At least two years of full-time work experience is required before entering the program. Business Experiential Learning Laboratory/Trading Floor and the Mardigian library. Access provided to online bibliographic retrieval services and online databases. Alumni network, career counseling/planning, career fairs, career library, career placement, job interview arrangement, resume referral to employers, and resume preparation. Student groups (Marketing Club, IS Club, etc) provide peer tutoring and the programs are coordinated by club officers in consultation with the club's faculty adviser. 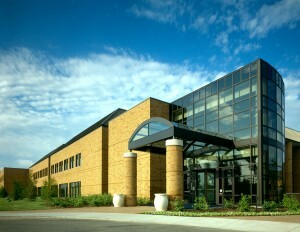 Want more info about University of Michigan - Dearborn College of Business Distance MBA? Get free advice from education experts and Noodle community members.